Practical and innovative outfits that revolutionise the fashion-sporty look, creating a casual, determined style: trousers, jeans and outerwear, all made in Italy, a guarantee of high quality and sophistication. Uncompromising quality in all the models, attention to the quality of the design and details, careful use of the best materials with exclusive technical solutions. For a style with a vibrant, casual and urban-cool impact, enhanced by the possibility to purchase quickly, that will appeal to any consumer. Traditional Neapolitan tailoring is an added value that is highly appreciated in Italy and abroad, complemented by exceptionally competitive pricing. Four Ten Industry is the result of a tailoring background that has developed over time, together with innovation, research and dynamism. 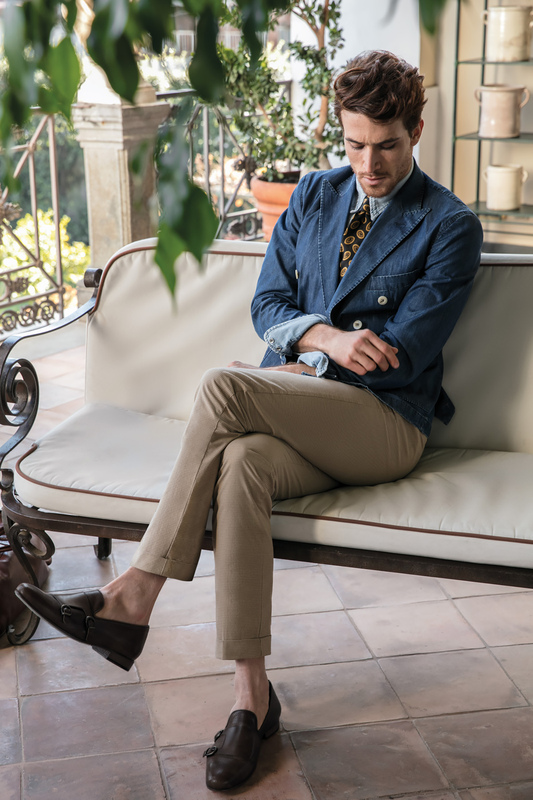 Every Collection is perfect for a busy, active, cosmopolitan man who is looking for clothes that are characterised by an international style with a distinctly Italian flavour. The Collections represent people who want fashionable products, who know how to enhance their shape by combining fabric design, nuances in trends and a flattering fit, they are perfect for men with a strong personality. For men who are aware of their charm, who know that there is no need to flaunt it, and who prefer Four Ten Industry because it is a symbol of sophisticated fashion that is both simple and elegant.